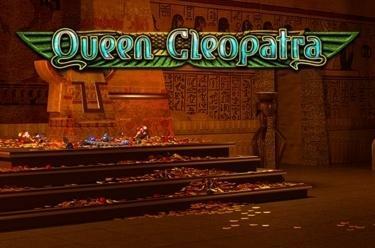 Play Queen Cleopatra online for free now! With our slot Queen Cleopatra you travel to the Nile to lift the secrets of the Pharaoh Queen on 5 reels and 10 pay lines! You can grab most Twists with the Cleopatra symbol. The aim with Queen Cleopatra is to land five matching winning symbols on one of the win lines. All pay lines start on the left and run along the reel set to the right. 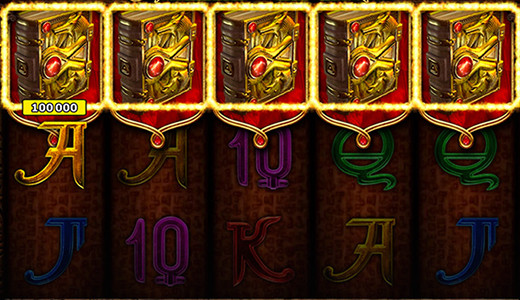 Can you decipher the content of the magic book? As Wild symbol it brings you many Twists but as Scatter it grants you 10 free games if it appears at least 3 times simultaneously on the reels! Free games are great but with the Extra-Feature they're even greater! If you have won free games with Queen Cleopatra a symbol is chosen at random and predestined as special symbol before the free games start. When it appears it automatically extends to all 3 positions of the reel it has landed on and even pays out on non-adjacent positions. Get ready for a journey to the Nile! Cleopatra, the most beautiful and powerful ruler of ancient Egypt is waiting for you at the breathtaking pyramids! Be nice to her and she will let you in on her secrets. With her support you can decipher the mystical hieroglyphs that show you the way to Cleopatra's riches!